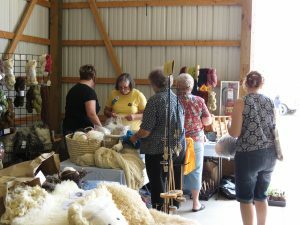 A view of the vendor booth in the Great Lakes Fiber Show. 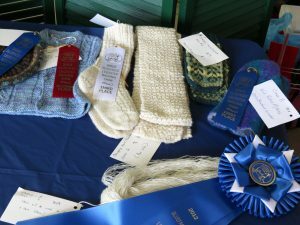 The booth was available for all BLU members to sell their wares. 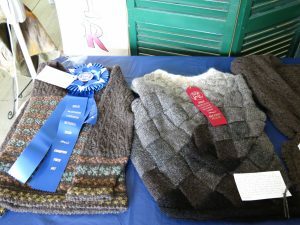 Some of the skeins entered in the competition at the national show. 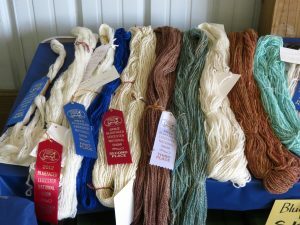 In the foreground is the champion skein, a plyed laceweight 100% BFL yarn spun by Christina Kurk.